In 2013 the American Cancer Society estimates approximately 232,340 new cases of breast cancer will be diagnosed and 40,230 deaths due to breast cancer will occur in the United States. It is important to note that men also develop breast cancer. Approximately 410 of the estimated deaths due to breast cancer in 2013 will be men. Ibogun community is made up of 37 villages. The village of former President of Nigeria Olusegun Obasanjo (Ibogun Olaogun) is one of them. The Primary Health Centre facility used for the program is located at Ibogun Olaogun and shared fence with the country home of the former President. 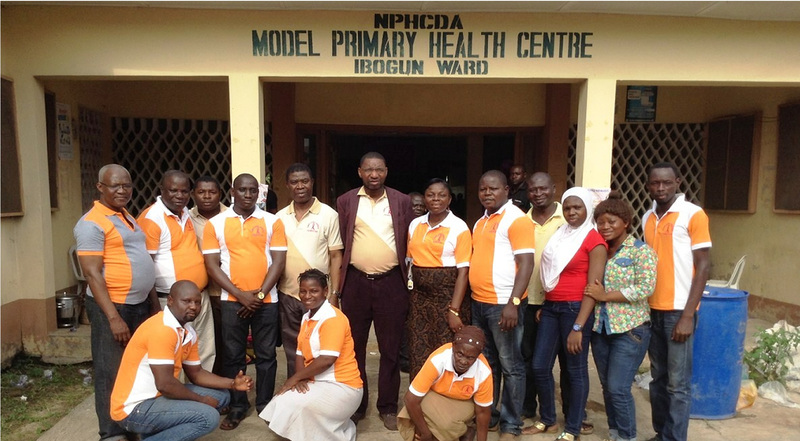 The 3rd SAOF rural health outreach started on Thursday 8th of May 2014. Our visitation team led by the chairman, Dr. Banji Oyegbami went to the venue to assess the facility on ground at the Primary Health Centre. The team also paid a courtesy visit to Oba Onibogun of Ibogun land, Oba Isaac Adeyemi Ojelade. He received us warmly. He identified with the program and prayed for its success. He personally came to the program with his wife and chiefs. That same day, the team went to the monthly meeting of the Baales in council. Dr. Oyegbami SAOF chairman intimated the Baales with the aims and objectives of SAOF Breast Cancer charity and our activities so far in Nigeria. They were quite pleased and happy with our Chairman who is an indigene of Ibogun for bringing the charity program home for the benefit of his people in Ibogun and the surrounding villages. They all promised to mobilize their people for the program. The visit ended with prayer from the most senior Baale and a group photograph followed. We also had a brief visit to the local Primary school in Ibogun. The SAOF Visitation team: Dr. Banji Oyegbami(chairman), Dr. Olayinka Oduwaiye, Mrs. Tomi owobamirin, Mr. Ola Afolabi (SAOFMEDIA/Fundraising Manager) and Alhaji Oseni Abass from Lanwa village. The Brigade band was engaged to go round the villages to mobilize the people and distribute the program's posters and hand bills. The D day started early on Friday 9th at 0930hrs with arrival of the medical crew from Lagos and UCH Ibadan joined by the NYSC doctor in the area (Dr. Emeh) and the Onibogun of ibogun Oba Ojelade. The opening prayer was said by Rev Agboola. The Chairman introduced the foundation and the 2 day program to the mammoth crowd in the waiting room. The doctors and nurses were allocated consulting rooms. The patients were registered; vital signs including Random blood sugar were taken and recorded in the waiting room. They were then directed into different consulting room by the health assistants of the centre. Matron Grace Adekoya from Public health unit, UCH Ibadan, gave a 4hour health awareness talk on Breast cancer, diabetes and hypertension with charts and slide illustrations. The people enjoyed the health talks and they were given time to ask questions. The officers and men of Nigerian police force in the Ibogun unit also came for their free Health check-up and drugs. After a brief launch break the program continued till 1700hrs. The next day Sat 10th of May-2014 started as usual with opening prayer by Rev Agboola. Dr. Yinka Oduwaiye gave a brief Health talk on the importance of regular health check-ups (HEALTH MOTS). 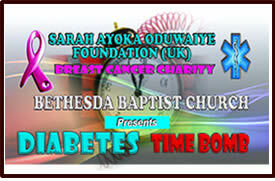 Medical Videos on Diabetes and Cancers was shown to the crowd. Matron Adekoya was on hand to give health talk in Yoruba language. The trustees of SAOF (Surveyor Alfred Oduwaiye, Mr. Niyi Fadipe and Mr. Sola Adeoye later arrived for the program. They all had quick 'MOTS' and took photograph with the doctors and nurses. Mr. Lasun Deji (Dr. Oduwaiye primary school teacher at AMS Offa in 1960s) also came all the way from Ibadan for the program. Dr. Oduwaiye screened a 42yr old lady with breast pain (mastalgia) for three months but no lump. She was thoroughly examined and reassured. She was advised to see her local doctor for review of her breast pains. After a late lunch break, the program continued with question and answer session from the audience and the faculty members. The program was brought a close with prayer and blessing from Pa Oyetade Oduwaiye ( The father of Dr. Oduwaiye who is also the Baale Of Kurere village,Abeokuta North Local Government). 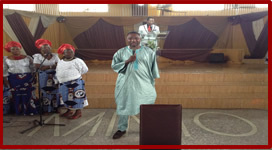 A thank giving service came up the next day Sunday 11/05/2014 at Orile Agege First Baptist Church, Lagos. Dr. Oduwaiye and the SAOF media team also had a three hour fringe meeting/health awareness talk in Alamuku Village, Ifo, Ogun State Nigeria on Thursday 15/05/2014. The villagers were very happy and grateful for this program. S. W. Cathedral Health Outreach.